The Community Foundation is proud to partner with many individuals and organizations in offering scholarships to students in Southern Indiana. The CFSI scholarship program consists of over 70 scholarship funds established by donors desiring to assist students in Southern Indiana, most of them intended to provide assistance in obtaining a college education. You may apply for several of these scholarships through the Foundation’s website and many more are available through local organizations. The Community Foundation of Southern Indiana takes great pride in its efforts to maintain the anonymity of its applicants. Tracking applicants by an application number as opposed to tracking them by their names is a major part of this safeguard. Business and community leaders from each of the counties we represent – Clark and Floyd – volunteer their valuable time to review the applications and ensure that scholarship awards are made as a true reflection of our community. The program is designed to provide evaluations of each applicant from someone outside of the applicant’s county of residence, thereby enhancing the integrity of the safeguards instituted for the protection of our applicants. The Foundation is committed to assisting students of our community in pursuing and completing higher education degrees. As we build our scholarship program, our focus is to grow and create endowment funds to provide renewable scholarships at a level of financial impact for diverse educational needs. We hope to continue to provide opportunities and share in students’ success. Together with the donors who make these awards possible, we work toward the goals of growth, knowledge, and enrichment for our community.  Before applying for scholarships through the Community Foundation of Southern Indiana it is important to review the Scholarship Information Packet, Frequently Asked Questions, as well as the Foundation’s Code of Conduct Policy and Residency Policy. It would also be beneficial to review the Dates to Remember so you can stay on track with your application and know what to expect. There are fourteen scholarship funds which are actively administered by the CFSI staff, but not all of these scholarships are offered each school year. Our application process is designed to make it easier and less time consuming for students to apply for the twelve scholarship available through our online application. Students who are residents of Clark or Floyd County and who are graduating this current school year from an accredited high school in Indiana may apply to the program and, if eligible, can be awarded a scholarship from one or more different funds. All applications must be completed and submitted through our online scholarship system found on the Foundation website. Lilly Scholar applications were open from Aug. 1 – Sept. 10, 2018 at noon. All other scholarship applications were open from Dec. 2018 through noon on Jan. 28, 2019.